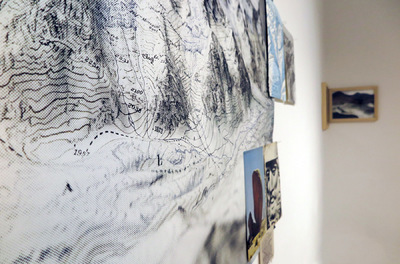 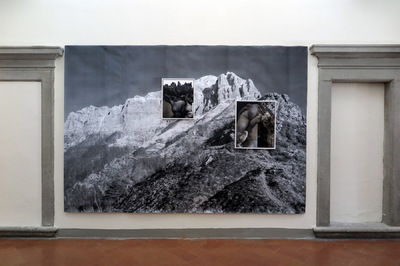 By the use of instinctive and anachronistic juxtaposition of images and imaginations deriving from disparate areas and times Warburg creates a cartography of new imagery and emancipates as well images from a historical and hierarchical order. 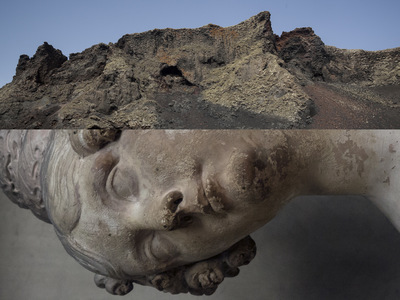 Putting together what is logically not supposed is also a keyelement of surrealistic procedures. 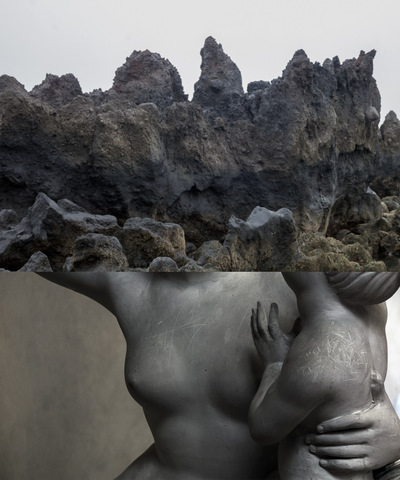 Max Ernst’s ‘Garden of France’ is one of my most vivid childhood memories of artwork, that I refound as well in Giambologna’s Appenine moving to Italy many years later, merging landscape with human body. 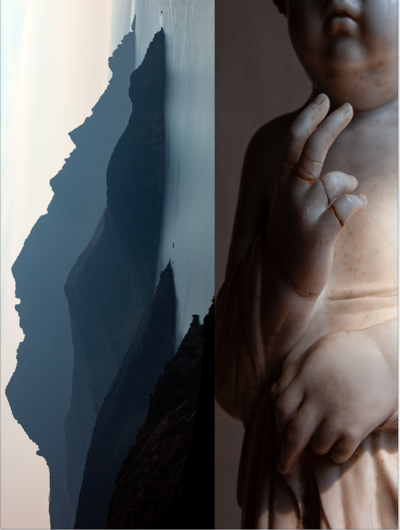 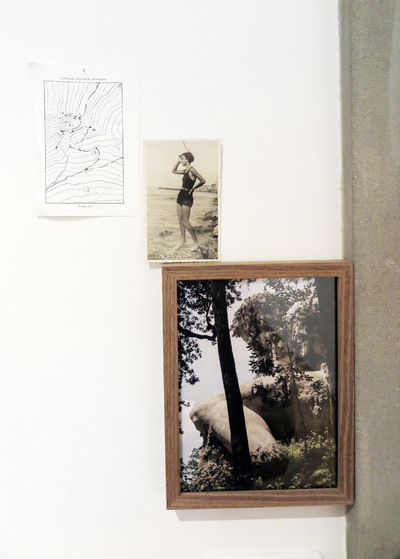 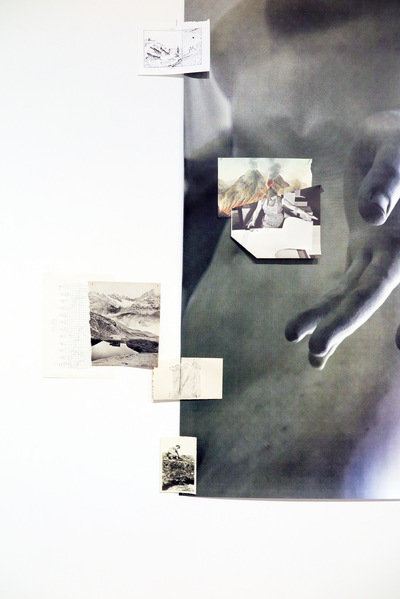 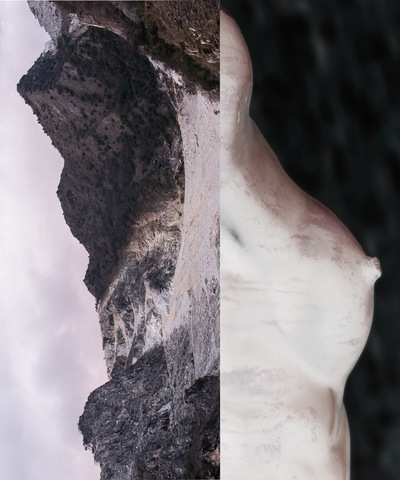 In this project - beside the photographs of fused diptychs of bodyscapes - the regard lies also in the process of putting together different sources of inspiration, study and interest in a kind of mindmap or non linear storyboard that could evoke but even hide in equality found elements. 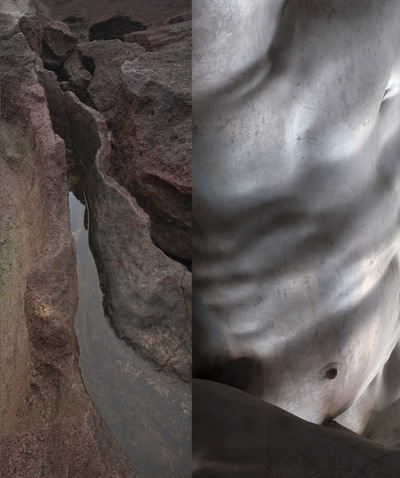 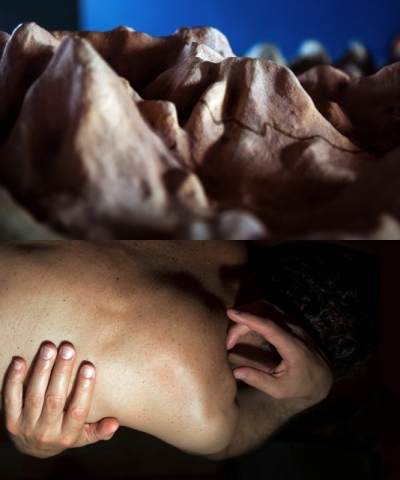 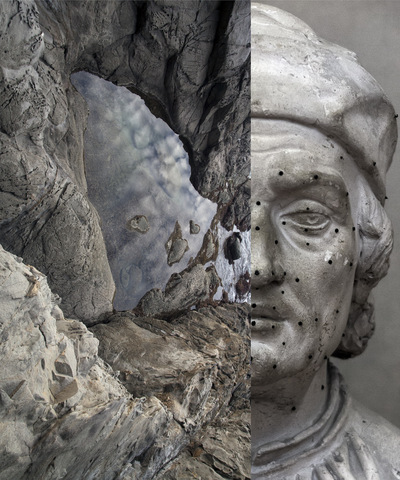 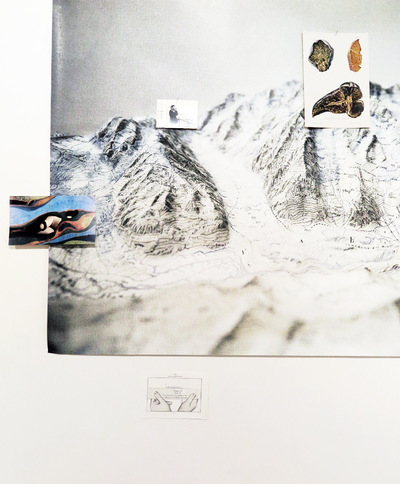 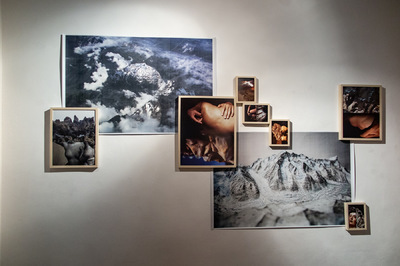 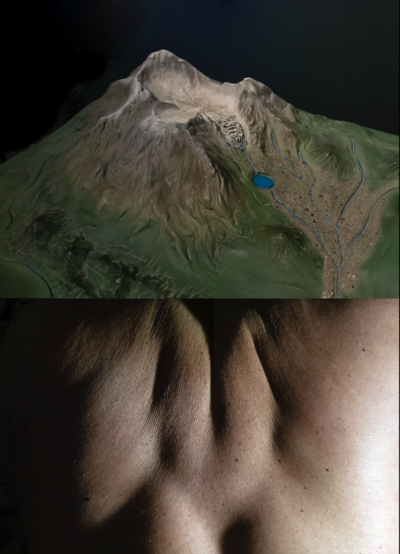 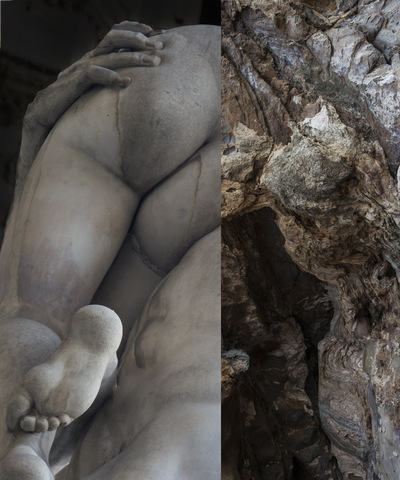 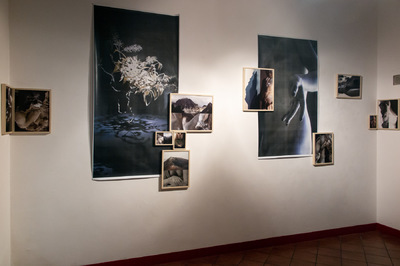 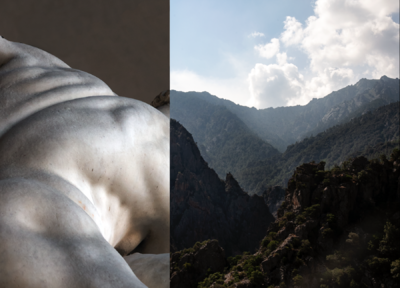 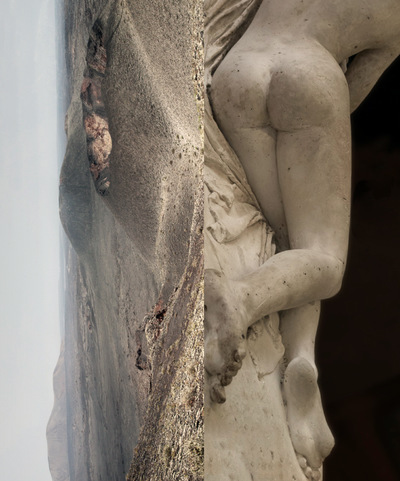 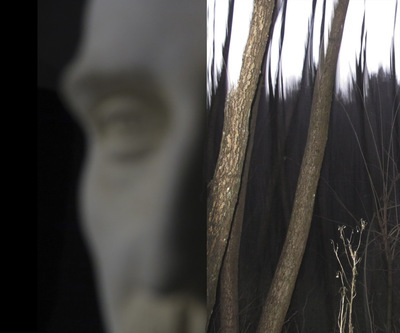 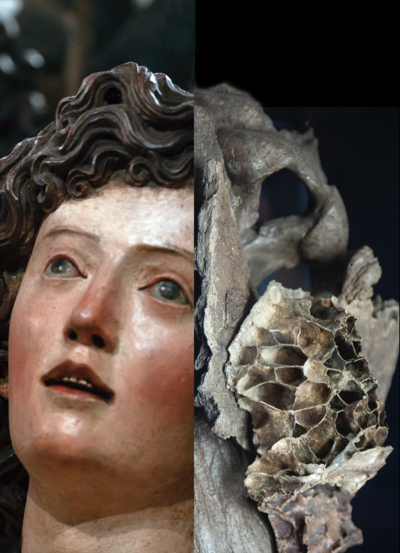 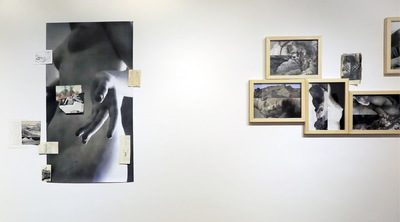 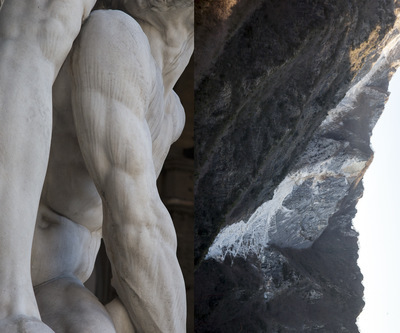 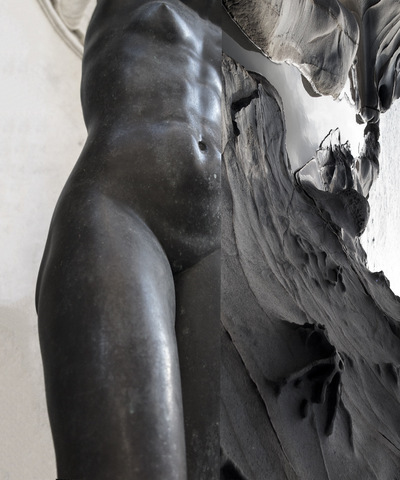 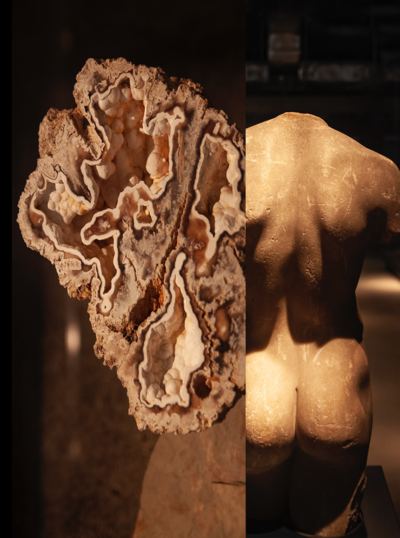 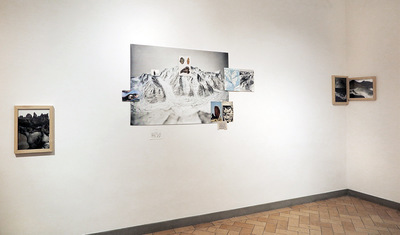 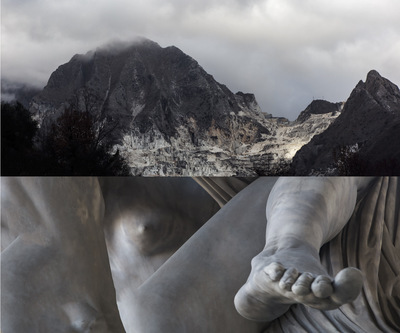 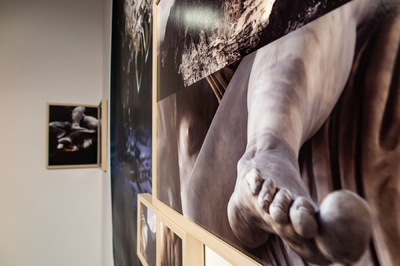 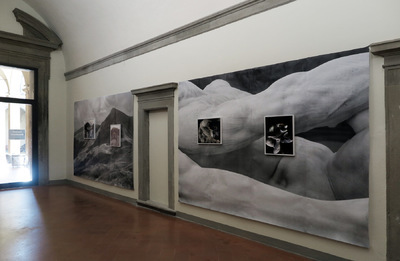 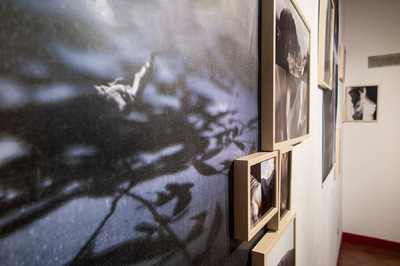 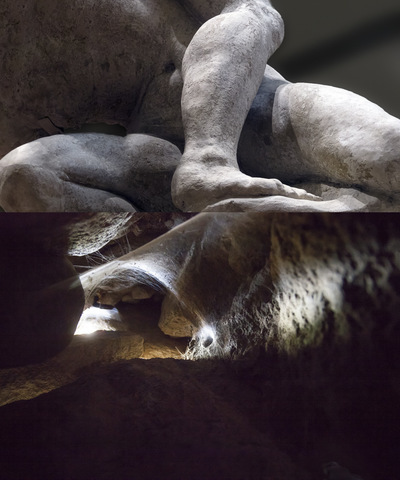 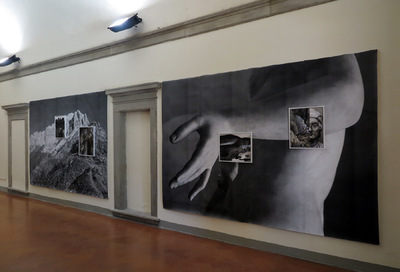 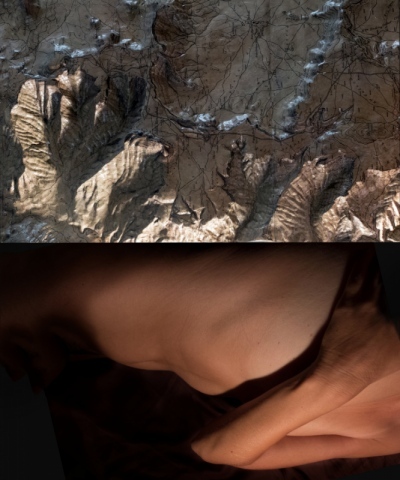 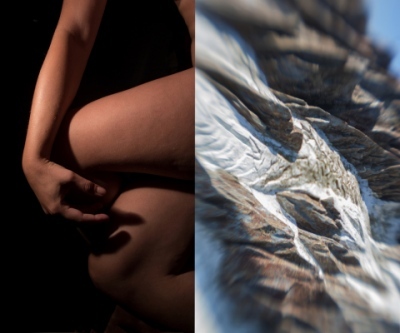 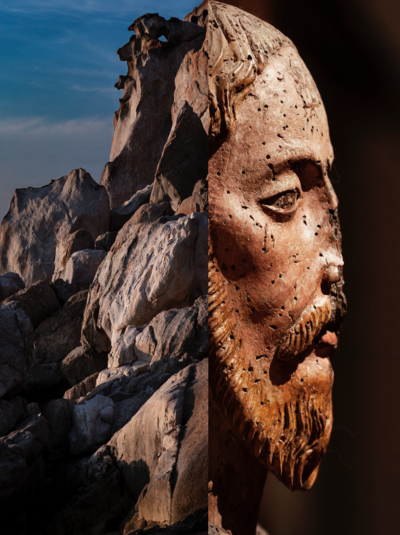 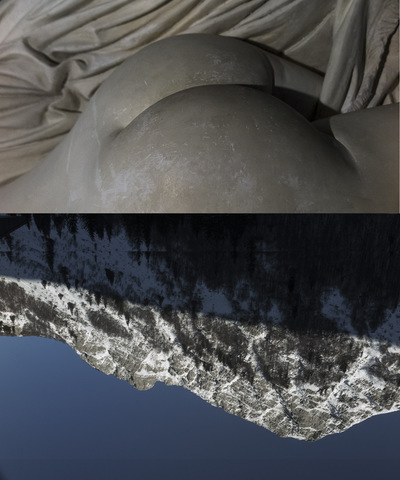 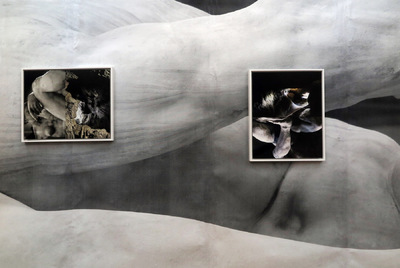 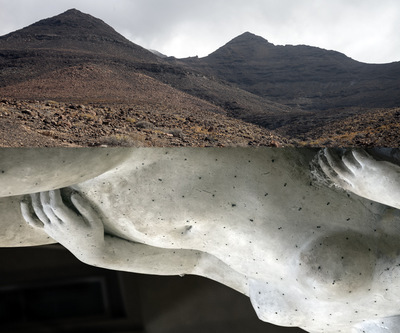 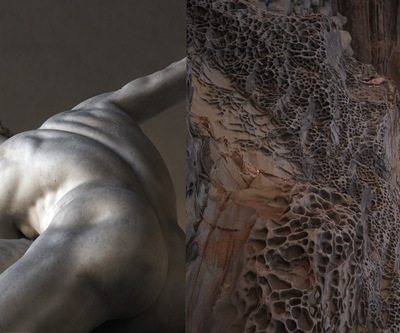 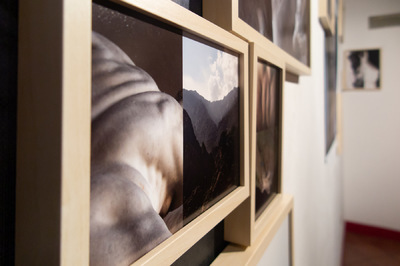 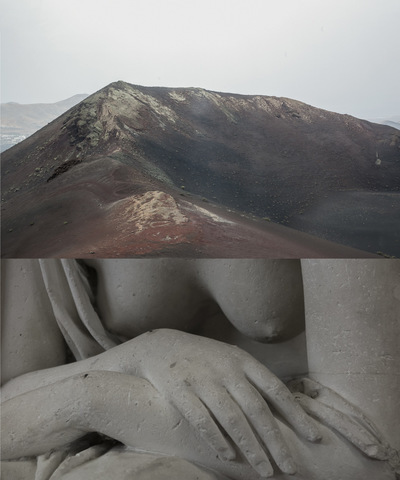 Bodies and landscapes, nature and culture, materials and shapes, that are combined to form new bodyscapes, like in the Metamorphosis or the Song of Songs, remind at the same time alien and ancient connections.